The boss of Next has been saying for some time that fashion has fallen out of, well, fashion with shoppers in Britain and there are fresh numbers to back up Lord Wolfson of Aspley Guise’s theory. 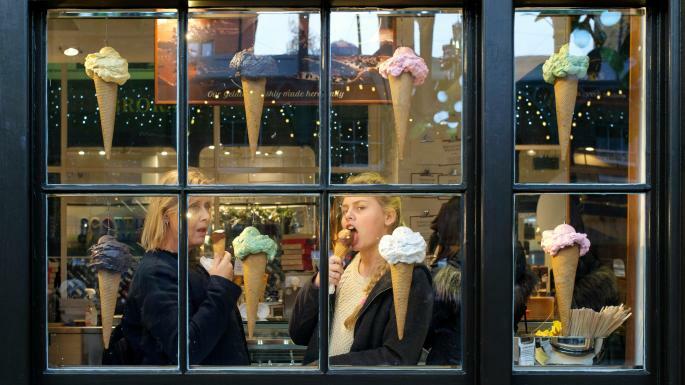 Rising demand from consumers for health clubs, takeaway food shops and ice-cream parlours has led to a decline in the number of clothing and fashion shops, according to figures from PWC and the Local Data Company. As the high street continues to rebalance from shopping to leisure, there has also been a fall in the number of cheque-cashing outlets, banks and insurance and recruitment agencies. The figures showed that 727 new stores opened last year in the tobacconist, health club, jewellery, coffee shop, takeaway food and stationery sectors. This compares with 1,357 store closures in the banking, fashion, department stores, recruitment and mobile phone sectors. Analysis revealed that it was only in out-of-town locations, such as retail parks, that fashion retailers had continued to expand. Mike Jervis, retail specialist at PWC, said: “The research clearly highlights the changing face of town centres — leisure and experience destinations continue to replace traditional high street stalwarts. The insatiable appetite for fast food and coffee shops fills the void left by banks, mobile phone and clothing shops. Lord Wolfson said last month as he reported a 3.8 per cent drop in Next’s profits for last year that he was “extremely cautious” about the current year. He has forecast that falling incomes and a shift in shoppers’ buying habits from fashion to leisure could lead to the group’s profits falling to between £680 million and £780 million this year.